I bought your book entitled The Book of Letters I didn’t Know Where to Send with the expectation that I would laugh heartily. Well, sir, I have to tell you that I did not laugh once! Nope. In fact, I laughed more times than I can count (which is quite a number, I assure you). My reason for picking up the book is a simple one: I enjoy your work on The Debaters, and your stand-up acts make me chuckle. When I heard you were publishing a book, I was quite thrilled, and I purchased a copy soon after release. I enjoyed both the number of letters and the variety of topics that you covered in this book. There is no letter that is so long that it becomes arduous to read, yet there is enough humorous content packed in each and every letter to exhaust a hyena. If a friend was looking for a recommendation for a book that would make them laugh, rest assured I would point them in your direction. 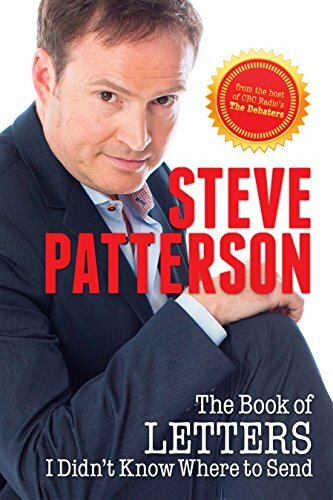 PS: If people that are Steve Patterson are reading this letter, please make sure that you pick up a copy of this book. You won’t regret it.